Windows come in a range of sizes and styles, and not all of them will take a basic window sill. If you’re working on a special project and you’re adding corner windows, extra wide sills or luxurious curved windows, then you’ll want to look beyond the standard wood window sill for something that will ideally suit your needs and give your project the ideal finishing touch. Here are a few of the ways that you can use marble as the finishing touch in your custom window to help your entire project look its best and ensure that the structure has the luxurious feel you’re searching for. Tract homes throughout the nation use window sills that are just a few inches wide, but this won’t quite make the cut in many luxury homes. People like having deeper sills so that they can set down a little plant or other décor items. 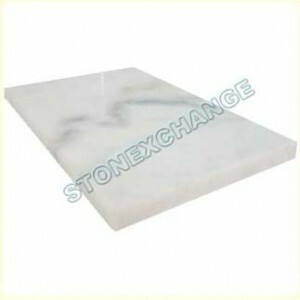 Make the size and depth of any sill stand out and demand attention by covering it in sleek marble. Whether you go with gray, beige, white or another color, you’re sure to love how the window looks with the right material. It’s also an easy and cost-effective way to make any window feel larger, more luxurious, and infinitely more attractive. On a purely functional level, marble window sills are better able to handle a little moisture and temperature changes than wood. This is particularly important with wide sills that may be prone to regular use and the potential for spills. Your future client will be pleased with your attention to detail, and you’ll know that the structure around the below the window is better protected through the use of marble sills. A corner window can let in an incredible amount of light, but many builders stay away from them because they’re more difficult to finish off. However, you can make the most of that sharp turn and expansive area by turning it into a window seat that will appeal to most potential homeowners. In addition making the shape and size stand out, you’ll also be covering it in a durable material that can handle regular weight. If you do decide to create an area where people can sit and relax, be sure to give the marble the appropriate support system below to distribute the weight and avoid problems with cracking. Other unique shapes that you may want to highlight include curves or the angled sills of bow windows. Marble has a natural gloss to it that reflects light, so you’ll automatically draw more attention to the space by finishing it in beautiful marble. Between the slight movement of the veining, the glossy finish, and the glorious color, you can be confident that potential buyers will take note of your custom windows and be impressed with the unique look that they bring to the property. A great deal of attention is paid to how the windows will look inside the building, but what about the exterior? In addition to using marble on the interior side of the sill, you can also use this impressive material along the exterior of the home. Nothing makes a home look more upscale than marble window sills that are visible from the front yard. You’ll add curb appeal to the home while making it look and feel more luxurious. You’ll create an incredible first impression with all visitors, and the marble can be custom cut and fitted to work with any size window. In addition to being a visual selling point, this will also appeal to savvy homebuyers who are considering how the value of a property might rise in the coming years. If you have areas in the property where the window sill will sit close to the counter, you can make the area look more impressive by matching the materials. This will visually enlarge your kitchen counter and make your bathroom look more impressive. Marble is also a natural choice in the bathroom and kitchen because it can handle the higher humidity levels and is easily cleaned if something spills on it. If there will only be a few inches of vertical wall space between the counters and the window sills, then consider using marble as a matching backsplash to maintain an unbroken line of color and ensure that the area looks its best. In addition to using marble as the primary sill, consider installing a matching piece of marble directly beneath the window sill to help trim it out. While this may create the illusion that the lower piece is actually supporting the sill, it’s purely a decorative accent. However, it’s highly effective because it serves to give the window a bolder and more important look. You’ll love how attractive it makes the window, and potential buyers will take notice of this little detail and be impressed with your meticulous work. You may not be inclined to work with a shipping company for your building materials, but it’s one of the best ways to save a great deal of money on quality products. When you’re ready to start buying the finishing materials for your project, it’s important to understand how the process works when you go with an out-of-state supplier. You’ll start by choosing the color and finish you want. Next, you can call Stonexchange directly to see what we have in stock and what our rates are. If you need custom cuts, we’ll be happy to place an order for you so that the tiles can be meticulously crafted by our overseas manufacturing center. We maintain tight quality control and cost standards across every level of our quarrying, manufacturing, and shipping processes. This allows us to provide you with high-quality materials at wholesale prices. We’ll work closely with you to ensure that your order is correct and will suit your needs. We’re able to ship merchandise to your home or business address, or you can have us ship the tiles directly to a worksite for the greatest convenience. We take great care with the packaging and shipment in order to minimize damage and simplify the installation process for you later. While a great deal of work will go into your order on our end, all you have to do is make one simple phone call. We’re looking forward to helping you get all the marble window sills you need for superior durability and design, so call our representatives today to place your order.